Happy Friday, Dear Friends! 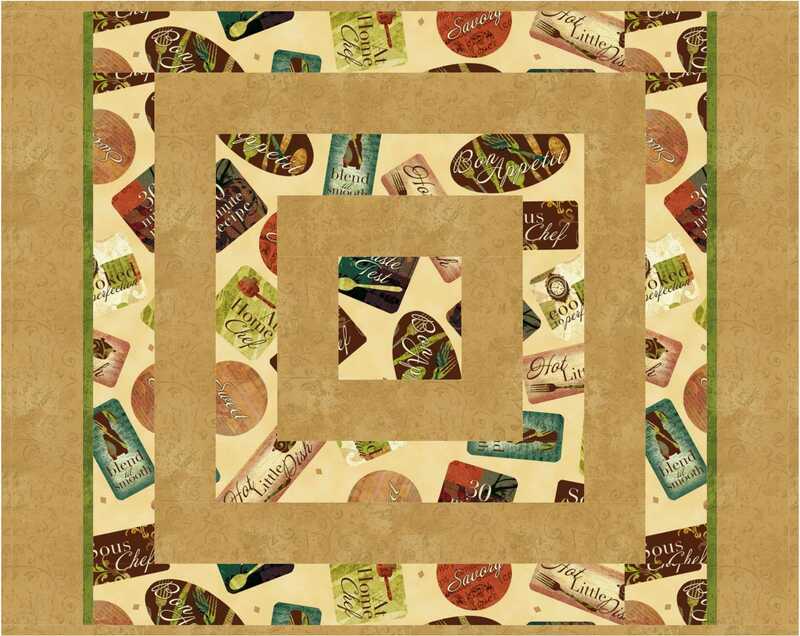 I thought I would close out this week by sharing with you a few free-to-use designs using fabrics from Quilting Treasures’ Hot Little Dish, a newly released fabric line. These projects are designed with bridal shower gift and/or housewarming gift in mind! They are relatively easy and simple to construct, and would delight a bride-to-be starting her own family, or someone who is having a new kitchen makeover! You have got to check out these Hot Little Dish fabrics. Click here to view the entire fabric range. 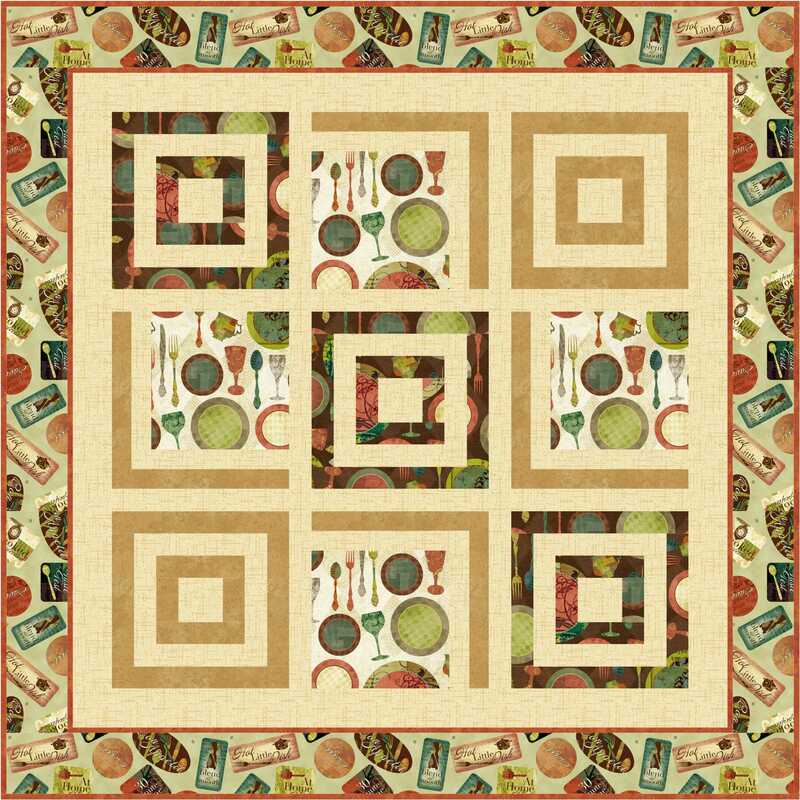 Click here to download pattern instructions for the wallhanging / table topper. Click here to download pattern instructions for the table ensemble. Thank you for stopping by. I hope you have a most wonderful weekend! I shall catch up with you next week. 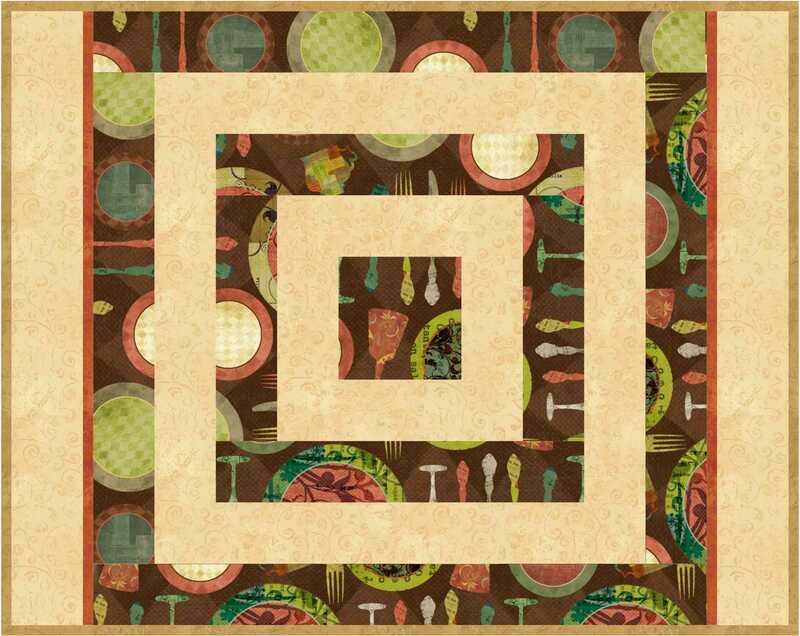 This entry was posted in Quilt Pattern, Quilting, Quilts: Pieced and tagged Free Placemat Pattern, Free Quilt Pattern, Free Tablerunner Pattern, Quilting Treasures Hot Little Dish, Wendy Sheppard Designs. Bookmark the permalink. Cute fabrics, inspiring patterns, and great timing!! How fun it would be to have these items on the table before the holiday rush begins. With school beginning, TN kids have already been back for a week, I start to think Halloween, Thanksgiving and Christmas. Holidays will be here all too soon. Thanks for your continued inspiration Wendy. Have a restful weekend.